Studio Calico State Fair & a give away!! Since its very beginning, Studio Calico has been a wildly successful kit club featuring the very best the industry has to offer bundled together in creatively inspiring ways. 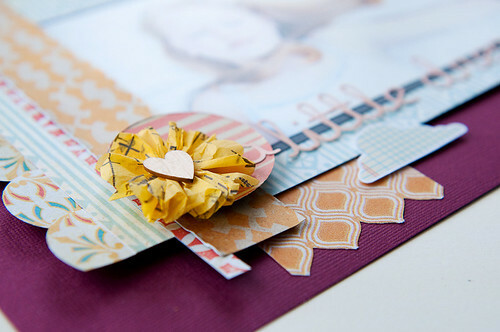 It is not surprising to see the very same creative bundling in Studio Calico's product lines. 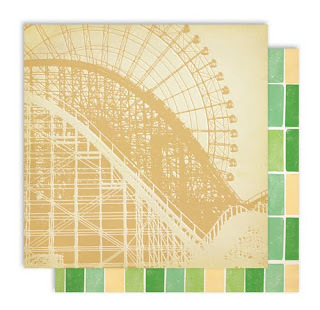 The subtle colors mixed with usable patterns and elements, make the State Fair another success story to jot in the Studio Calico books. I love, love, love the wood veneer shapes. They're perfect on their own, or colored with mist or paint. One of the items that first caught my eye in the Studio Calico booth at CHA were these cute cloud rub-ons. So dreamy and sweet. 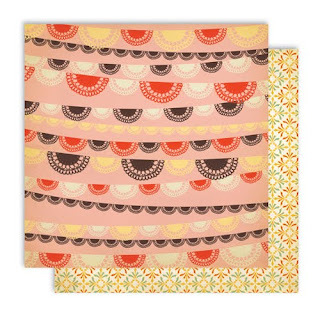 The Notions Vintage Pattern flowers are adorable, I want to collect every color in bulk! 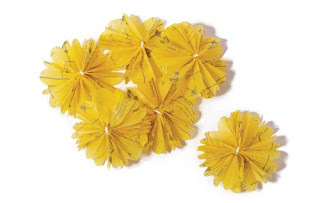 - The Notions Vintage Pattern Flowers are fabulous. Like I said, I would love them in every color! - The wood veneer hearts... be still my heart. 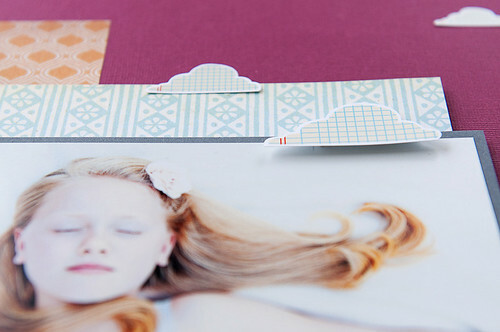 - The adhesive fabric strips easy to incorporate fabric in my layouts without having to use my sewing machine. - I would have liked to see at least one of the pattern paper designs with a slightly darker tone to add some contrast. - A couple of the colors on the cardstock stickers didn't match the colors on the pattern papers, although they were still very workable. What do you think? Leave a comment by midnight EST on Thursday to be entered to win a State Fair paper pack and stickers!! I love this new State Fair collection! And I love what you did with it - gorgeous layouts!!! I love your layouts - writing with the twine is a great idea! I agree, I think some darker colors would help. Studio Calico always stays true to their style - and they've done it again... I'd love to win those papers! love, love, looooove this line!!! I love it as well as the inspiration! 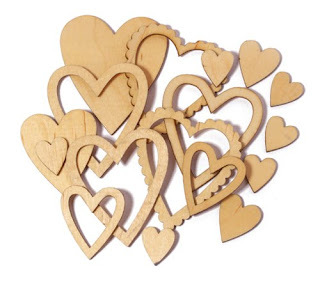 I especially love the wooden hearts! SC's Fabrips are one of my favorite products! And this new line is gorgeous! It's actually my fav. of their new lines. Haven't gotten around to seeing it up close yet. I love SC... especially the wood veneer! LOVE the Studio Calico collections! I am so crazy about the wood veneer items! I love the letters and butterflies!! They do take ink beautifully!! Love what you created! Gorgeous! What's not to love? My favorites would be the flowers and the paper with the roller coaster/ferris wheel background. 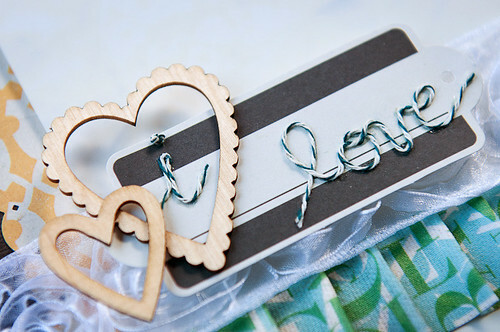 I love the line and the beautiful wooden hearts! I love the soft colors in this collection. Your LO's are beautiful! Beautiful LOs! I'd love to play with these too! I love the collection and your layouts really showcase it well! gorgeous layouts! love this new collection! What I think.. I am in LOVE... oh I want to play w/this collection even more after seeing your layouts! Thanks for the chance. I ordered the veneer in the hearts and the buttons and I love SC, I just really wish there would have been stamps. What is there not to love about the State Fair ... this is wonderful! Love your layouts! I really like how you used the bakers twine to write with and also the clouds. This collection is just awesome. I love all their collections. Love the look of this collection and what you've done with it! love this line! so pretty! love the soft colours. thank you for the chance! I totally love the Vintage Notions flowers. They are sooo pretty :) I really like the patterns and colors too, but you are right about contrasting color. I like to have some too. Your layouts are gorgeous! I love the fabric strips...my mind is already busy thinking of ways to use them! This collection really is beautiful. So are your layouts! they are a great way to see how the products could be used. p.s. I love those notions flowers. OH MY!! I absolutely love love love them!!! Great products, and I love what you did with them!! Love Studio Calico!!! :) Just awesome! Great layout ideas! Those clouds are the yummiest thing. Thanks for this giveaway! Love your LOs!!! Gorgeous :) I think this line looks like so much fun...thanks for the chance! I don't think there's a line Studio Calico's released that I didn't love! Wicked cute collection!! 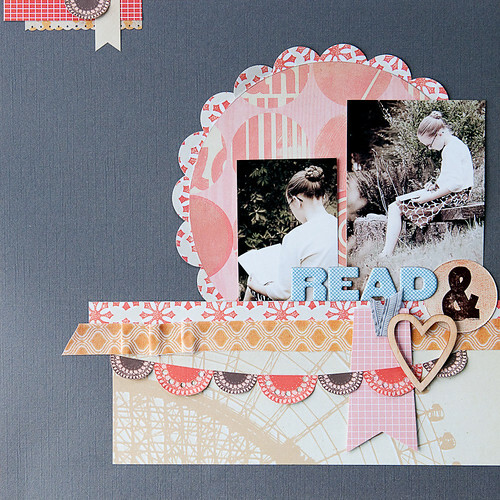 Gorgeous scrap pages!! Thanks for the chance to win this paper!! Gorgeous Gorgeous Gorgeous! I love the papers. It's so beautiful! I love your layouts, too. Just perfect! I LOVE the wooden hearts! You did such a good job--just wonderful! Love the wooden veneer hearts and the cloud rub-ons! 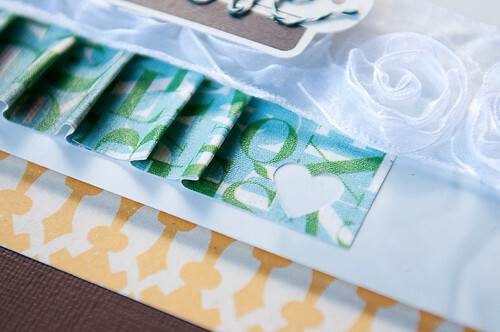 And that doily banner paper - so pretty. And love the way you incorporated bakers twine in your layout - what a great idea! Those are fantastic layouts. I wasn't sure about this line at first, but after seeing your LOs, I feel inspired to use this product now!!! Whee!! Lovely thanks for sharing!! You are seriously talented! 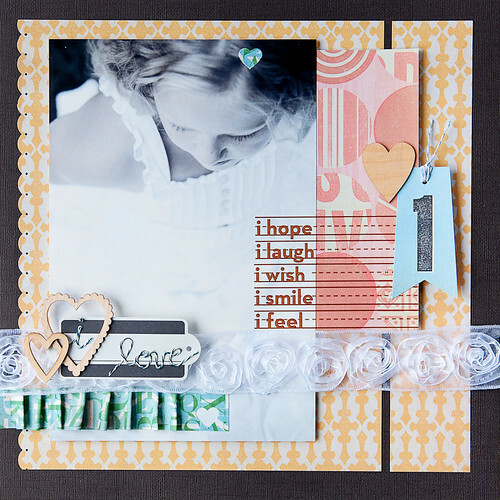 Although not part of the collection, I adore the way the ribbon looks in your first layout. Beautiful layouts! I love all of the new Studio Calico stuff! 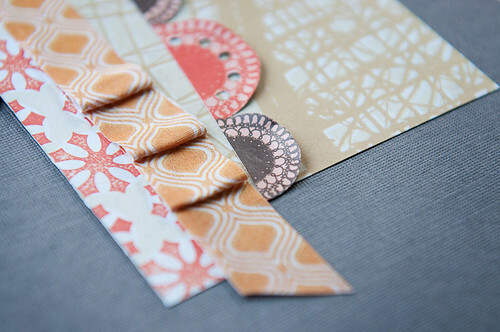 I really love the fresh patterns in this line and absolutely adore the ferris wheel paper especially. The versatility of their coloring is really quite spectacular making it a good colorful neutral of sorts that works with everything so nicely. Love this collection! The photos you have put in your beautiful layouts are just gorgeous, WOW!! I think it's an awesome line! The colors are so bright & the patterns are fun. Love all the accessories, too. I love ANYTHING Studio Calico, and this line does not disappoint! I love your layouts! And I love Studio Calico! This looks like a super fun paper pack! I love the pages you made too! As soon as I saw a sneak from CHA I had it on my list of must haves. I'm just waiting (impatiently) for it to come into my local scrapbooking store. I wish it would hurry up. Love what you created, Noel! Love the hearts especially. super cute layouts, as always Noel! I love the notions and the clouds and the rub ons and and and. studio calico really speaks to my paper loving heart. great colors in this collection! love the lo! I love everything about this collection and I love how used the product on your pages! So Stunning! Love this line and can't wait to get my hands on it! Beautiful layouts! I love Studio Calico and their new collections. Your layouts are gorgeous! Not a fan of the circus-themed products that have come out lately - but I love the rural theme of State Fair. And the wood veneers are versatile for any layout! I really like the colors but without them in my hands I couldn't tell if the color was off between papers and stickers. i looked at all the new products online at 2 peas last night. loved them all, of course i could tell any color variations via screen. however, i would love them anyway. studio calico is a serious favorite. what cute layouts! i love how you used the baker's twine. made such a cute font!! Love it! Thanks for the review. Amazing - so much detail really emphasizes the one large layout. I love Noel's work! As always your layouts are AMAZING! 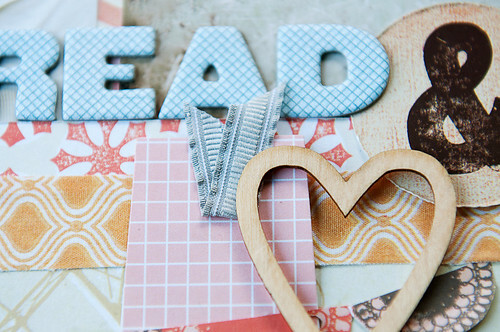 Love the new paper and the wood hearts, yep, I have to agree with you on those. Thanks for showcasing this great new kit and inspiring me with some new ideas for my pages. Super cute. Love what you did with it, Noel. Love your layouts Noel Joy!! The girls are beautiful and have grown so much since I first met you on ck. Love the colors and the little wooden hearts. Hey Noel, love this kit! I think the colors are really unique, and could be used for so many different things. Thanks for the chance to win. I'm a huge Studio Calico fan and love this new collection. Your review is great and I agree that some contrasting darker pages would be nice. I love to use dark cardstock with some of SC's previous collections as a way to break up the lighter tones. Thank you for the great review and awesome giveaway! Great collection. I think I could use this for a few different projects! Loved the layout and would LOVE to win this! Cute line. I can see how easy it would be to use it in a variety of pages. those flowers are fabulous. I need them. beautiful layouts!! love the SC goodies! !